Louise Wood is the Managing Director at Prodrill Energy Resource Solutions and has over 25 years’ experience in recruitment within the oil & gas and finance industries. Recognized as the Aberdeen Director of the Year by the Institute of Directors (IoD) Scotland in 2013, she continues her professional involvement with IoD and the Institute for Recruitment Professionals. She brings a wealth of knowledge, passion, and commitment to grow Prodrill’s commercial business and maintain financial and legal integrity. In this post, Louise shares her thoughts on the impact of cost reduction on the industry and how human capital supply chain is a solution in attaining cost sustainability. SME has two commonly used acronyms. SME can mean ‘small-to-medium sized enterprises’ which are businesses with typically 250 employees or less. SME can also mean ‘Subject Matter Expert.’ This is a person (or even a business) who is an authority on a particular area or topic. 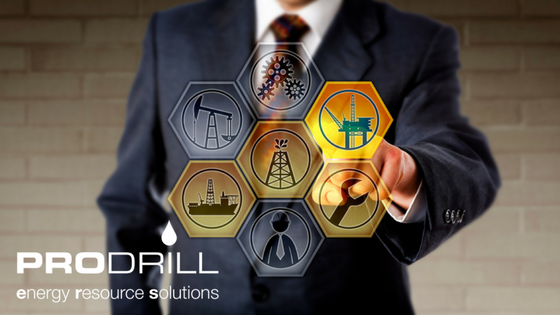 Prodrill sees itself as a subject matter expert (SME) business in oil & gas recruitment and consultancy. In this article, SME will mean Subject Matter Expert. A common challenge for SMEs is engaging with decision-makers within client companies. This could make it more difficult to effectively manage cost pressures during an industry downturn. Cost sustainability has come from driving the cost of producing a barrel of oil in the North Sea to $18 without corporate overhead. However, with corporate overhead, it increases to about $35-36/barrel. It is common that companies then focus on reducing corporate and commercial overhead. Having witnessed several companies restructuring in recent years, Louise observes that there is often increased pressure on those working in non-technical roles. People must carry the weight of that extra responsibility and there is a risk that the knowledge and expertise is simply not there. As Managing Director of an SME recruitment business, Louise advocates better engagement direct with SMEs as a solution for driving cost sustainability. Oil companies are beginning to recognise the need to measure engagement with SMEs as part of their supply chain strategy. This solution could support many SMEs that still see their profits being challenged. There are several industry initiatives to help businesses like these have their voice heard. However, it is a slow process that will take time to get traction and implementation. Strategies around volume recruitment, payroll and costs can be used but it’s more important to ensure that people are working in jobs with the right expertise to manage expectations of employees and contractors. Human Capital Supply Chain refers to an integrated approach to business planning, workforce planning and staffing, and recruiting processes and technology with the aim to increase corporate productivity and profitability. Louise explains that in recent times, measuring value has been around productivity of people. Many companies count the number of employees or contractors on a job, multiplying the day rates and time spent on that project. Competency and performance are often not the focus when companies are looking for ways to reduce costs. For instance, they are not measuring how specific skilled individuals in roles can create greater value. Value is an emerging area that is different for each company. Any business that is heavily constrained could risk losing its entrepreneurial spirit. If the industry falls back into these habits, costs will rise again. Louise explains that we are in a very cyclical industry. While we are now in a downturn cycle, we are starting to see drilling campaigns increase and projects being re-initiated. The industry is looking to maximise North Sea recovery and output. Therefore, there is still a need for SME businesses that don’t carry large overheads and are often more versatile than larger corporate counterparts. To improve cost sustainability, Louise advises SME businesses to use technology and enhance employee’s skills. Technology is going to play a part for any SME, whether creating technology or using it. Technology and people development will help SMEs to have broader business knowledge, across every role. Attitudes and behaviours are the key to change across all levels of personnel. Everyone plays a part in cost sustainability.